We made Sanita’s ads beautiful. A 400% increase in sales is pretty stunning too! It’s no secret – we love footwear. Some of us claim to have even more shoes in our closet than our wives. We fell in love with footwear a decade ago when we started helping other famous footwear brands gain national and global recognition. Now we’re proud to say we’ve done the same for Sanita! 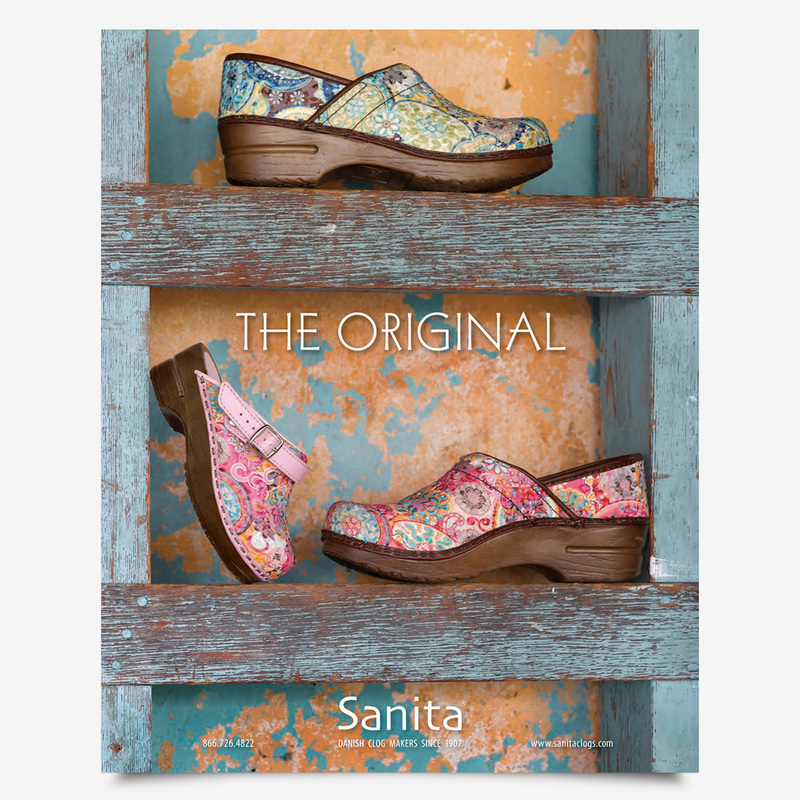 The “Original” campaign was developed to help establish Sanita in the USA as the originators of the famous Danish clog. With a deep sense of lifestyle, these rich luxurious photographs represent the beauty of the product itself, while capturing a sense of their upscale quality. 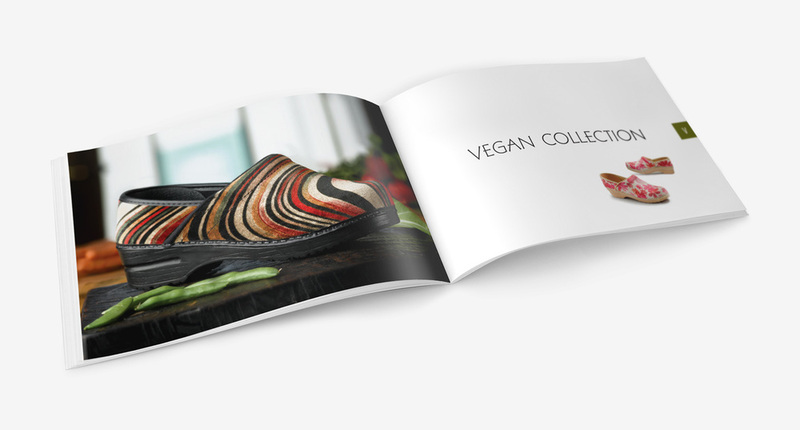 More of a look book than a line sheet, capturing a sense of their products as well as the company itself. This print piece was used as a take one at retail locations nationally. Ever go to a trade show and see cheesy little logo signs pinned to the front of those tables? There was no way we could allow that to happen to our client. These bannerstands are designed to be used in hospitality suites during trade shows, providing big impact on a small budget.